Many have done it. 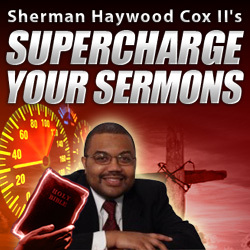 You listen to a preacher say something catchy and repeat it. Perhaps you have heard a great sermon and re-preached it. Whatever the case, presenting other’s work as your own is stealing and false representation. Whenever, we front like the work of another is ours we are stealing! Yes I know, we all read commentaries, and we all listen to sermons or at least we should, but there is a difference between being inspired through preparation and down right perpetrating. But I must ask the important question: When is it no longer preaching but plagerism and piracy? and further, How can we hold ourselves accountable? I mean it’s a shame! To do this in the hallowed halls of academia will result in dismissal, the same holds true in any other field. It’s fraud! Yet we tolerate it in the church and the pulpit of all places! How can we expect our parishioners to be just in their dealings when we ourselves are notorious in ours? We need some integrity. 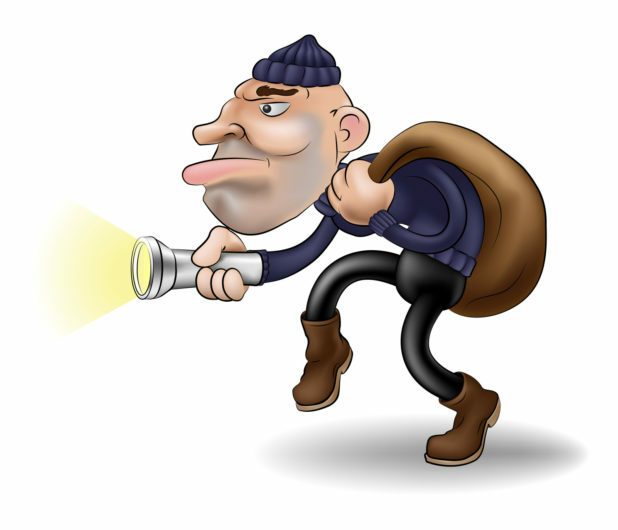 It is wrong to steal. It is wrong to lie, and pretending as if you’ve wrote something you didn’t is a huge lie! Especially when we consider the fact that we’re getting paid at least partially to prepare and present sermons. A definition of pimping is to get paid from the toil of another, so not only are we stealing (plagiarism/piracy) but we’re also pimping! Especially in this multi-media world, where we can broadcast another’s ideas via internet, TV, CD, and DVD, and make money off of them! I’ve heard of preachers doing revivals and getting paid well. However, some of these same preachers were preaching the sermons of other preachers. This is just down right wrong. God will speak and in those moments when God is silent, do as Renita Weems suggests and live in the meantime, The span of time between the last time and the next time. Preach in the meantime, testify of God’s goodness even in His seeming silence. Walk by faith. This silence is also a part of the journey. Take heart nobody hears the voice of God always and at all times, if they did they wouldn’t need to have faith! So take heart and be encouraged, but do not I mean do not, take the work of others and pretend that it is your own. I mean he KILLED me, killed me dead! I have two other friends who preached in the same convention at a late night service and another who preached there during the day. They can all rip a text apart and then put it back together again. They are masters, while I am a novice. Yet, I still will not steal their stuff, (even though we exchange information, and when I borrow I cite them), because I haven’t lived life in their shoes. So I don’t see things as they do! We come from different vantage points and it’d be a disservice to think that God would have us to see and say the same things. If this were the case He would’ve never called me! I have nothing on them, I ain’t even as nice as them! Instead, I recognize that God has seen fit to navigate me through some tumultuous times and events all to shape my outlook on the biblical narrative. With this being said I have no need to steal, their expressions of God’s navigational prowess, because I have my own! And so do you, I implore and encourage you to discover how GPS has benefited you in life, no not the GPS that accompanies Cadillacs and other fine coupes, I mean the GPS that comes in the finest machinery known to humanity….humanity itself. And this GPS is God’s piloting system. Activate it through prayer, fasting, and meditation, ask God to open your eyes, minds, and hearts. And then finally, just as you want pour good wine or champagne, or good cognac, or fresh water, or even cold Kool-Aide into a dirty container, neither will God speak to us when we sit cemented and centered in sinful activities, so I suggest that we try to live right, so that God will want to speak to us, through new and exciting means with new and exciting messages! When inspired by a sermon, use it, but make it your own, and most importantly tell the truth if you got it from someone cite them, nothing makes you look smarter than citing some information! Remember, knowing it all doesn’t really make you smart because no one knows it all! But the truly smart are smart not because they know it all, but because they know where to go to get the answers! As always your questions, comments, concerns, critiques, conversation and contention is much warranted and welcomed. Pastor Napoleon J. Harris, M. Div, M. Ed. 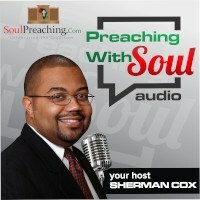 is the senior pastor of Shiloh Baptist Church and a Web Minister at SoulPreaching.Com. He has studied African American Preaching and completed his senior thesis on evaluating the celebration component of the Black sermon.